The Jerusalemite citizen, Naeem Rabay’a, was forces to self demolish part of his home in the neighbourhood of Jabal Al-Mukabber as ordered by the Jerusalem municipality under the pretext of building without a permit. Rabay’a told Wadi Hilweh Information Center that the municipality’s court imposed a fine of 25 thousand NIS on him on 24/11/2013 and actual imprisonment for months in addition to obtaining a building license within a year, but he was able to reach a settlement with the public prosecutor to where he would demolish the part that was added to his home since he did not succeed throughout the past years to obtain a building license because of the impossible condition set by the municipality. order to expand and make it a home for 9 individuals and tried to obtain a building license since then but to no avail. He noted that the municipality imposed building violation fees that added up to 8 thousand NIS in addition to lawyers and engineers fees that cost him an addition 60 thousand NIS in order to obtain that license. Rabay’a added that the municipality gave him until the end of March to execute the self demolition and then would discuss the 6 month prison sentence imposed on him. The Israeli authorities have not stopped since the occupation of the West Bank and the Gaza Strip in 1967 their policies that aim to steal the Palestinian monuments and to Judaize ancient relics. According to the Palestinian Department of Antiquities, there are 944 archaeological sites in the West Bank and the Gaza Strip, while the number of monuments hit 10 thousand. Antiquities expert Dr Hamdan Taha told PIC's correspondent that the occupation is committing the most dangerous crime against the antiquities, with the aim of changing and falsifying the history of Palestine. He noted that the construction of the apartheid wall in the West Bank has led to the annexation of more than 270 archaeological sites and about 2,000 archaeological and historical landmarks, in addition to dozens of archaeological sites that were destroyed for the construction of the wall. The Palestinian Department of Antiquities and Cultural Heritage also pointed out that more than 500 archaeological sites and over 1,500 monuments in the West Bank were stolen or destroyed by looters, supported by the occupation forces. Researcher Mohamed al-Jamal told PIC's correspondent that the theft of antiquities is managed by Israeli officers, traders and dozens of semi-organized groups who are carrying out illegal archaeological excavations. For his part, lawyer Mohammed Nassar told PIC's correspondent that many countries have linked the theft of antiquities with treason; however in Palestine there are not enough laws to deter the antiquities dealers and smugglers. Israeli forces on Saturday prevented Palestinian farmers in the Hebron district from accessing their privately owned land, local popular committee spokespeople said. Nidal al-Haddar, a spokesman for the popular committee in the southern Hebron district, told Ma'an that Palestinian farmers were sent home at gunpoint when they attempted to reach their lands in the Umm al-Arayis east of Yatta. International solidarity activists, including Israelis, were also sent away from the land, al-Haddar said. Land owner Issa Jabarin told Ma'an that settlers from the illegal Mitzpe Yair outpost had occupied his land in the area since 2000. Israeli courts ordered the evacuation of settlers, "but Israeli authorities have not implemented the orders," Jabarin said. Separately, in Beit Ummar north of Hebron, Israeli forces sent home a farmer and his family as they were tending to their lands, a local popular committee spokesman said. Muhammad Ayyad Awad told Ma'an that Muhammad Abd al-Hamid Jabir Sleibi and his family were working on their land when Israeli troops arrived and threatened to detain them if they refused to leave the area. International solidarity activists were sent away as well, Awad said. Sleibi told Ma'an that he has an Israeli court order allowing him to tend to his land. A spokeswoman for the Israeli army said she was unfamiliar with the incidents. Four Israeli trailers were removed from a Palestinian man's privately owned land in a Bethlehem-area village on Thursday, a popular committee spokesman said. Ahmad Salah, a spokesman for a local popular committee, told Ma'an that Muhammad Abdullah Sbeih had received an Israeli court ruling that the trailers -- planted by an Israeli man who runs a nearby settler outpost -- must be removed from his land in the village of al-Khadr. The trailers were installed by settlers four years ago in Sbeih's field in the Ein al-Qassis area, Salah said. Sbeih had received an earlier ruling from an Israeli court that the trailers must be removed, but the settlers had refused to implement the decision, Salah said. When Sbeih complained again, the settlers were forced to remove the trailers after they failed to submit any deeds to prove ownership. However, settlers merely moved the trailers to another privately owned field in al-Khadr, belonging to Khadr Ali Abu Ghalyoun, Salah added. He said the trailers were installed by the Jewish extremist Hananel Shear-Yashuv -- known as Hananiya -- who runs the illegal settler outpost of Sde Boaz, which sits on eight dunams (two acres) of Palestinian land nearby. The Israeli news site Haaretz reported in March 2013 that Israel had issued demolition orders for the trailers, quoting a state attorney as saying the four trailers were to be demolished "within a short time-range." The international community regards all settlements built on occupied Palestinian land to be illegal, while the Israel government distinguishes between the more than 100 state-sponsored settlements and dozens of unauthorized outposts. The citizen Adnan Emran Sharabati recently received an evacuation notice from his home that is located in Al-Hakari road in the Old City of Jerusalem. He was given until 23/03/2014 to execute the order under the pretext of being an “unprotected tenant”. Adnan explained that a Jewish lawyer handed him the evacuation order after he came to his home. He pointed out that he has been living in the house since 1930 and has all the necessary documents to prove it; note that the house is owned by Nseibeh family and his father had rented the house from the Jews in the 1930’s and after the 1948 war the house beneficial was transferred to the Israeli property guardian in Jerusalem and they were paying him the rent since. Sharabati lies in the house with his family that consists of 9 individuals. He lives on the second floor which has three bedrooms while the first floor is a synagogue which is partially used by some settlers as a residential place. He added that he continuously suffers from their provocation and actions aimed to deport him and his family from his home. Sharabati also noted that “Ateerat Kohanim” organization offered him financial temptations in order to leave the house but he refused. He explained that the occupation municipality forced his to remove aluminum plates placed in the outside courtyard of his house, and also pressed charges against him that he built restrooms inside the house and he was fined 70 thousand NIS; note that the restrooms have been built for many years. The Israeli occupation forces (IOF) stormed on Thursday night the town of Jaba, south of Jenin, where they arrested a citizen and transferred him to an unknown destination. Local sources stated that the IOF arrested 21-year-old Mu'in Hamamrah from his home in the town of Jaba, after storming it and assaulting its inhabitants. The occupation soldiers have also been deployed in the town's streets and alleys for hours before they retreated at dawn Friday. Separately, the Israeli authorities have recently handed to the citizen Adnan Sharabati notification to evacuate his house in the Old City of Jerusalem before the 23rd of March, claiming that the house is not protected. Sharabati stressed that his family has been living in the house since 1930. Israeli Occupation Authorities (IOA) handed over a Jerusalemite citizen a notification to evacuate his house in the Old City, claiming that he was an “unprotected tenant.” Adnan Omran told Wadi al-Hilweh Information Center on Saturday that a Jewish lawyer handed him an evacuation order to be implemented by March 23. Adnan stressed that he has been living in the house since 1930, pointing out that he started after 1948 war paying the rent for the Israeli authorities. He stated that he lives with his 9 family members in the second floor that contains three rooms, while the first floor was turned into a synagogue and used by settlers. He pointed out that he has been subjected to daily settlers' provocations aiming to evict his family. He added that he had refused a Jewish association's offer to leave his house in return for an amount of money. Adnan stated that the Israeli authorities imposed a fine of 70 thousand shekels for building facilities in his house. 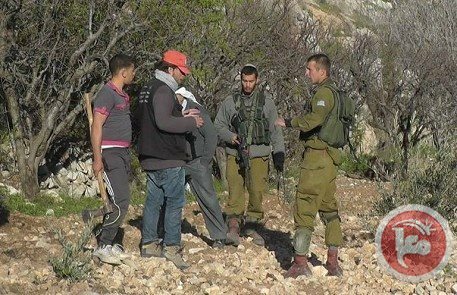 Israeli settlers on Thursday bulldozed private Palestinian lands near the northern West Bank village of Jalud south of Nablus in order to expand an illegal settlement outpost, a Palestinian Authority official said. 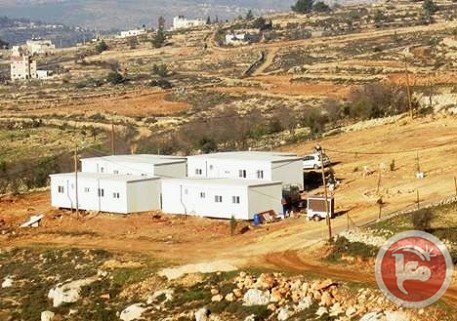 Ghassan Daghlas, a PA official who monitors settlement activities in the northern West Bank, told Ma'an that settlers from the Shvut Rachel outpost had decided to expand their illegal settlement at the expense of nearby private Palestinian landowners. The fields that were leveled belong to Ahmad Ibrahim Hajj Muhammad, he added. 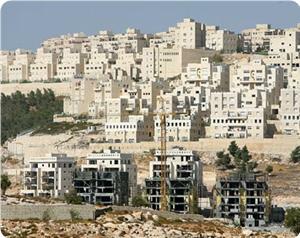 Daghlas said that the Israeli government had granted the settlers construction licenses. Jalud is located directly beside a number of notoriously violent Jewish outposts and settlements, and hundreds of acres of its agricultural lands have been confiscated by Israeli authorities for their construction. Settlers regularly attack the village, burning cars and uprooting olive trees, and in January locals captured a group of marauding settler youth before turning them over to security forces. 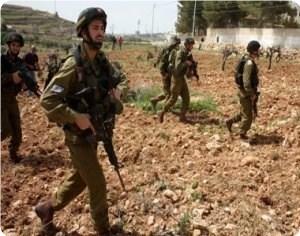 Israeli Occupation Forces (IOF) stormed at dawn Thursday Yabad and Zibda villages south of Jenin. Three citizens were arrested and demolition notifications were distributed during the raid. Approximately 25 military vehicles raided Yabad town at 0100 am and arrested three young men, local sources said. 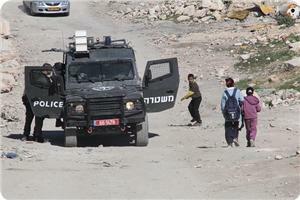 The sources pointed out that the occupation forces left a big mess in the houses and assaulted the residents. On the other hand, IOF soldiers broke into Zibda town and handed over two citizens notifications to demolish two houses under construction under the pretext of being built in a military area. The sources pointed out that the Israeli forces erected a checkpoint at the entrance to Yabad town and stopped vehicles carrying students. Meanwhile, IOF served a demolition notification to a Palestinian to demolish his shed in al-Tawil area in Aqraba town south-east of Nablus for being established without a permit. The shed covers an area of about 200 meters, and is located in area C under full Israeli control according to the Oslo Accords. Al-Tawil area accomondates18 families, including 150 persons, and eight thousand head of cattle. 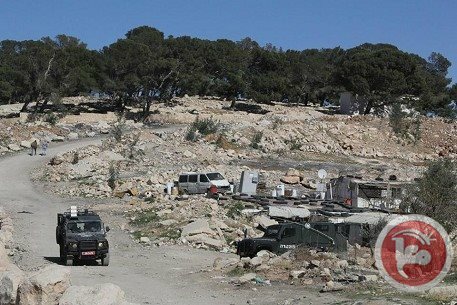 The Israeli occupation authority (IOA) has started surveying hundreds of dunums of land in Al-Khader village in Bethlehem in prelude to confiscating it. 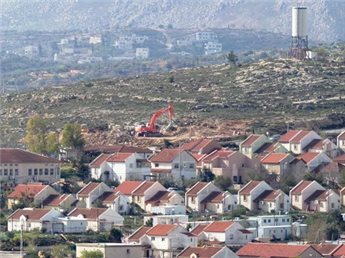 Ahmed Salah, the coordinator of the popular anti-settlement committee in Al-Khader, said in a press statement on Thursday that the IOA civil administration started surveying non-agricultural land in the village. He said that the survey had covered 500 dunums so far and will continue for the few coming days. Salah quoted farmers as saying that they were informed by the IOA teams that the survey would cover thousands of dunums of land at the pretext they have become “state land”. IOF Forces deported on Thursday morning, 23 families from Ra's al-Ahmar area in the northern Jordan Valleys in the West Bank. Head of al-Maleh Village Council Aref Daraghmeh said that Israeli occupation ordered the families to evacuate their homes, under the pretext that they want to carry out military exercises using live ammunition. 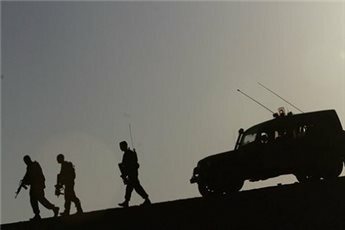 Daraghmeh said that IOF Forces carry out military exercises in area in the northern Jordan Valleys, adding that in the past few weeks the Israeli forces deported dozens of families from their homes. 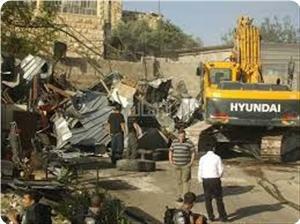 Israeli occupation forces on Thursday demolished a house in Beir Zeit area, east of Ramallah. PNN reporter in Ramallah said that Israeli bulldozers demolished in the morning the house of Abdul Rahim al-Washha in Beir Zeit. PNN reporter added that clashes erupted in the area between the Israeli forces and the Palestinians following the demolition of the house. Al-Shaer family self-demolished its house in the neighbourhood of Shu’fat north of Jerusalem on Wednesday to execute the occupation municipality’s decision. Louai Al-Shaer explained that the family was forced to demolish the house which is ready for housing in order to avoid paying high building violation fines in addition to paying the cost of demolition to the municipality’s crews. He added that the family built an apartment for his brother Basel and extended the area of the garage and built a 70-meter apartment that cost them nearly 150 thousand NIS. He also explained that the municipality’s crews issued an administrative demolition order for his house after completing the construction. 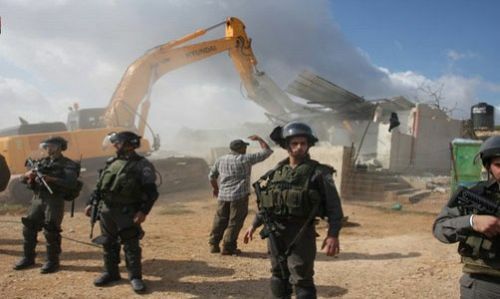 Israeli forces delivered demolition orders for seven homes that were allegedly built without permits in Al-Lubban ash-Sharqiya village south of Nablus on Wednesday evening. Ghassan Daghlas, a Palestinian Authority official who monitors settlement activity in the northern West Bank, told Ma'an that Israeli forces accompanied by civil administration officers raided the village and handed demolition orders to a number of local families. He identified the individuals who had been handed the orders as Ihsan Hasan Daraghmeh, Yousef Hasan Daraghmeh, Omar Mohammad Hasan Oweis, Abd al-Rahman Ahmad Oweis, Ahmad Abd al-Rahman Oweis, and Mahmoud Mustafa Daraghmeh. Israel destroyed more than 663 Palestinian properties in the West Bank and East Jerusalem in 2013, displacing 1,101 people, according to UNOCHA. Around 241 more people have been displaced just since the beginning of 2014. 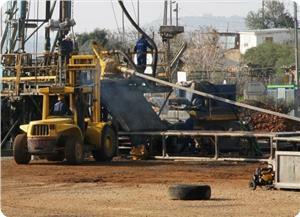 The Israeli occupation forces (IOF) have set up huge drilling rigs few days ago near the village of Nabi Saleh, north of Ramallah, raising doubts about the discovery of a new oil or gas well in the area. During a field trip, PIC's correspondent in Ramallah said that the erected drilling rigs are higher than fifty meters, and that the area is surrounded by barbed wire to prevent the Palestinians from approaching it. The targeted area is located near the settlement of Halamish, established on lands of the village of Nabi Saleh. 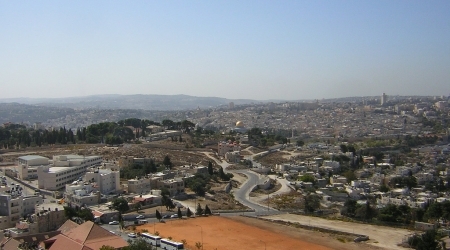 It is also located near the main street, which connects Ramallah with the villages of the north and the west of the city. The IOF has been preventing the Palestinians from building in the area, which includes an Israeli plastic factory and natural parks. Dr. Abdul Rahman al-Tamimi, expert at economics of natural resources in Ramallah, told PIC's correspondent that he thinks that the occupation is drilling exploration wells to determine the limits of the gas basin discovered near the village of Rantis, west of Ramallah. He explained that Israel is re-exploring the natural resources in all Palestine from the Negev desert in the south to the north of Palestine. For their part, residents of the village of Nabi Saleh called on the competent authorities to pressure the occupation to stop the work at the gas well located in their lands. 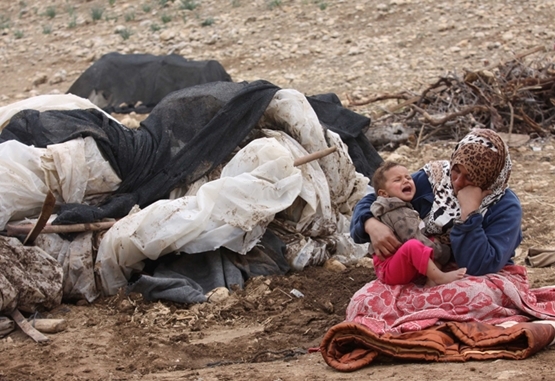 Mohammed al-Tamimi told PIC's correspondent that the Israeli occupation has not stopped, since the seventies, the settlement projects in the region. The Popular Resistance Movement in the village of Nabi Saleh called for staging mass rallies towards the gas well in protest at the settlement activities in the area. 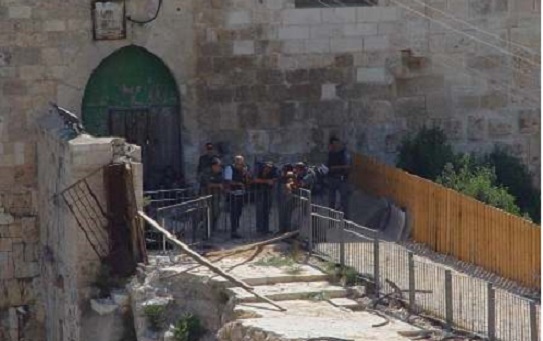 A retaining wall on Wednesday collapsed on houses at Bab al-Magharbeh (Mughrabi Gate) in Jerusalem due to Israeli excavations under the al-Aqsa Mosque. Palestine News Network (PNN) reporter said that the retaining wall belonging to Jawwad Siyam, collapsed on a number of Palestinian houses in Wadi Hilweh in Silwan as a result of Israeli excavations. 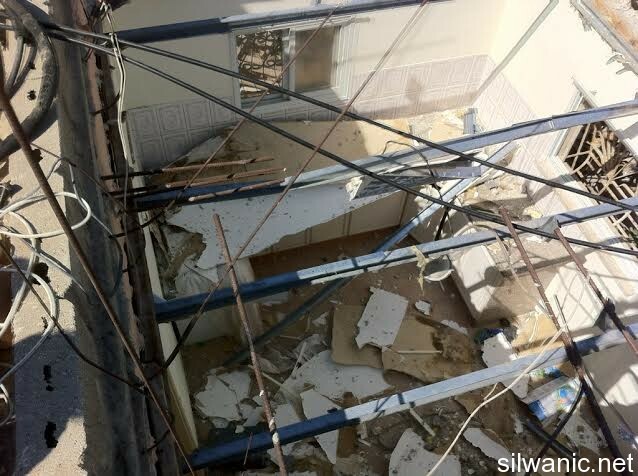 Witnesses said that the 30 meter high wall collapsed on four houses; three for al-Salaymeh family and the fourth house belongs to al-Ja'bari family, which caused material damages. Israeli occupation bulldozers, on Tuesday, leveled a grab-threatened land in the al-Tur Mountain area in occupied east Jerusalem. 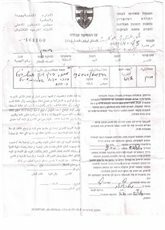 Al Ray reports that Israeli authorities had handed the Abu Al-Hawa family a demolition notice to evacuate the 11-dunam land no later than Feb. 13th, a member of the family said to a local news website. 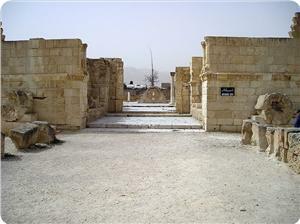 “Three months ago, the Israeli occupation carried out leveling and excavations for antiquities. During that time, a so-called Russian group came in to tell that they are the owners of the land and want to build a church on it,” he explained. Though the family showed the documents proving the land has been their property for 80 years, the group fenced it and fixed a door at the entrance, he added. A servant from the occupation municipality of Jerusalem came to the land and gave the family a one-day notice to evacuate. He informed the family of the existence of a tourist facilities and road construction projects that would exhaust two thirds of the land, according the family member. Popular committee spokesman Hani Halabiya told Ma'an that civil administration officers delivered the orders to families in the Jabal al-Baba neighborhood of al-Ezariya. The families, who mainly live in steel structures and tents, must leave their homes by March 3. Around 300 Palestinian Bedouins from Jahalin live in 22 homes made of steel, wood and tin boards, as well as tents, Halabiya said. Last week, Israeli forces bulldozed five steel structures belonging to the Bedouin al-Jahalin community in al-Eizariya, leaving 55 people homeless. The Israeli occupation forces (IOF) on Sunday ordered Palestinian citizens in Ahfad Younis neighborhood in Eizariya town to the east of Jerusalem to evacuate their homes and leave the area. Local sources said that the residents of the neighborhood were handed notices threatening to use force to evacuate them if they did not do leave the area voluntarily. They added that the Israeli occupation plans to annex this Palestinian neighborhood to Ma'ale Adumim settlement. The sources affirmed that the Israeli occupation authority started lately to take punitive measures against the Palestinian natives in Eizariya and Abu Dis towns and other areas in the southeastern of occupied Jerusalem to impose its hegemony over Bab Al-Shams area, which is classified by the IOA as E1 zone. Israeli forces on Sunday issued stop-work orders to the owners of several buildings a village west of Hebron, a local official said. Hashem al-Tomeize told Ma'an that Israeli forces entered the village of Ithna and delivered stop-work orders for buildings that were being constructed without permits. Al-Tomeize, who heads up the Ithna municipality, noted that the buildings were located within Area C, under complete Israeli control. He said Mahmoud Azmi Abu Jheisheh received a stop-work order for his house and two chicken coups, and Sufjan Abu Jheisheh received an order to stop constructing his workshop in the same area, while Arafat Abu Jheisheh was issued one for his sheep stable. Al-Tomeizi condemned the move, saying it was an attempt to evict Ithna residents. Figures from the Israeli NGO Bimkom show that around 95 percent of applications for building permits are rejected in Area C.
Hundreds of Palestinian activists organized Friday afternoon a vigil in solidarity with the Palestinians whose lands were confiscated by the Israeli occupation authority in Atof area northern Jordan Valley. 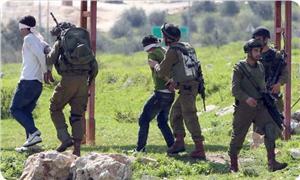 Israeli soldiers have fired rubber bullets and tear gas bombs at the participants. According to the PIC reporter, the solidarity vigil has started after Friday prayers during which the Imam stressed that Palestinian adherence to their land is a part of Islamic doctrine. The vigil took place in the agricultural plain of Baqi'ah that extends on 100 thousand acres, 80% of the plain was confiscated by Israeli authorities. For his part, Bassam Mousselmani spokesman for Save Jordan Valley Campaign told the PIC correspondent that the vigil came in protest against Israeli confiscation policy in Jordan Valley and against the Apartheid Wall construction on Jordan Valley lands that will prevent Palestinians from having access to their agriculture lands in profit of settlement construction. For his part, Younes Bani Odeh, head of Atof village council, stressed the need of such solidarity events, calling for addressing Israeli settlement schemes that aim to annex Jordan Valley lands.